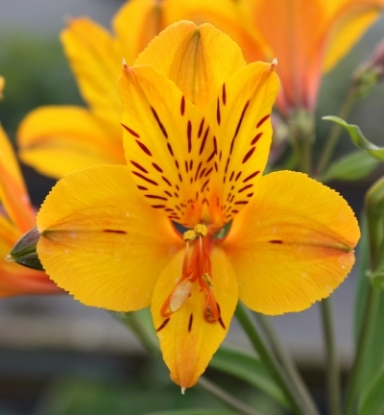 A first rate plant, producing blooms in a mix of warm changing colors, starting with yellow over different shades of orange and finishing with buff orange, overlaid with ochre. 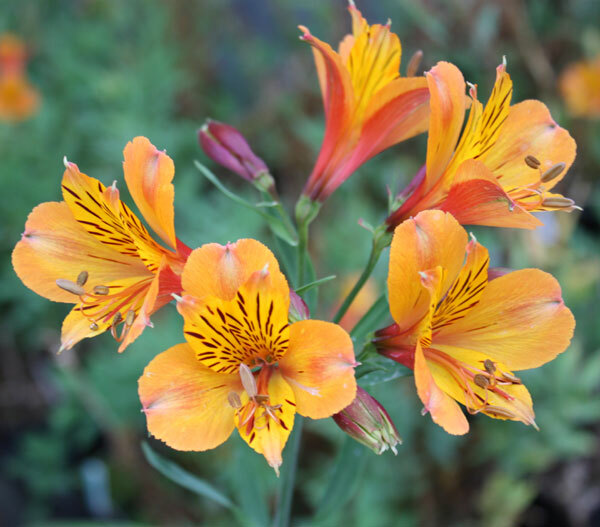 Blooms all summer if kept watered in a fertile soil. 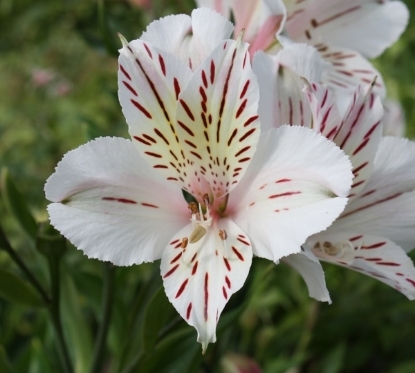 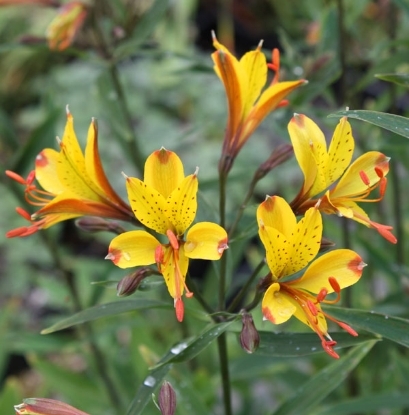 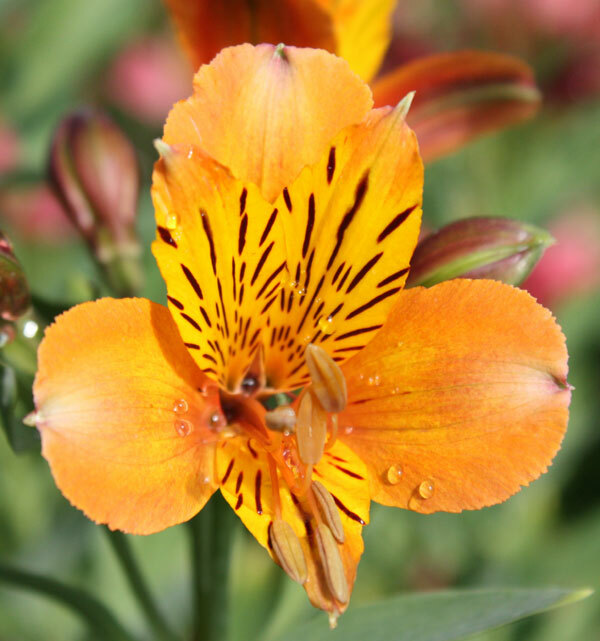 BEFORE ORDERING, PLEASE read very important information about growing and shipping Alstroemerias on top of the main Alstroemeria page.